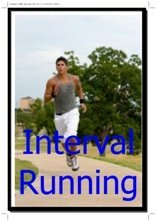 A good introduction to running speed workouts for beginners is fartlek run training. It's Swedish for speed play. Just go out there, warm up, and then start running at varying speeds for varying periods of time and finish up with an easy paced cooling down. I wanted structure in my runs. I didn't like just going out there and go by the feel of the moment to see how fast I would go and for how long. Because, basically, every fartlek workout is different. So, there is no way to compare two sessions. And I really needed that. I guess I am a very structured individual. 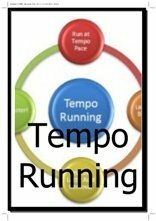 Run 5-4-3-2-1 minute sessions with 2 minutes of floating in between (floating = keeping up to moderate speed, so no recovery jog or walking). However, in the last few years I have come to appreciate fartlek a lot more. Probably because I enjoy running a lot more. It's not so much about competition anymore, about having to run. Running has become a lot more pure simple enjoyment for me. Don't get me wrong. I am still hoping to run PB's. But I don't have to. So, it has become a lot easier for me to just go out there and enjoy myself. Leave the watch at home. 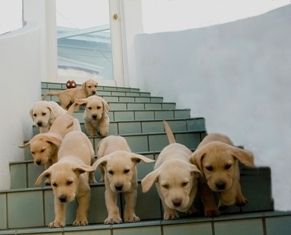 After your warm-up, pick a landmark and run there at a high speed. Float for a while, then pick another landmark and run there. It's fun to make up your fartlek run as you go along. This is a speed session, so you want your legs to be ready for when you go faster. Run for 5-10 minutes or so at an easy pace to warm up your legs. Speed up when you want, for as long as you want. I often pick landmarks. E.g. street lights, shops, anything. Try to make an effort to play with distance and speed. You can bring a little bit of structure into it by going in a rhytm of three here: moderately fast, bit faster, almost full-out, then again, moderately fast, bit faster, almost full-out, etc. 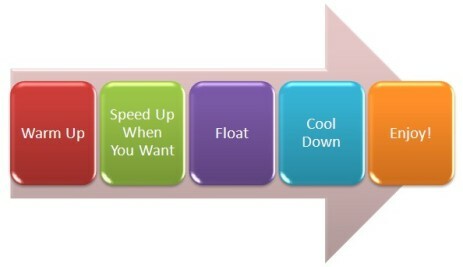 Float, do not slow down too much. You want to keep the heart rate up for the entire session. 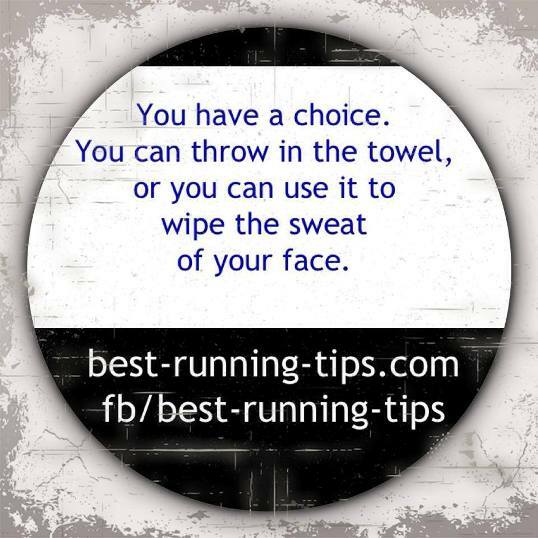 So do not slow down to a slow jog or walk; go back to an easy, but brisk, pace between the speedier parts. It is always good to finish with a bit of light running or walking and do a few running stretches. Check out that page, as some of these stretches are really helpful in preventing injuries. Steve Moneghetti is a famous Australian marathon runner. He has won several big marathons (e.g. Berlin in 1990) and has picked up a Bronze in 1986, Silver in 1990 and Gold in 1994 in the Commonwealth Games marathons and won Bronze in the 1997 World Championships Marathon in Athens. In other words, one of the true greats of our sport. Why Speed Play for Beginners? 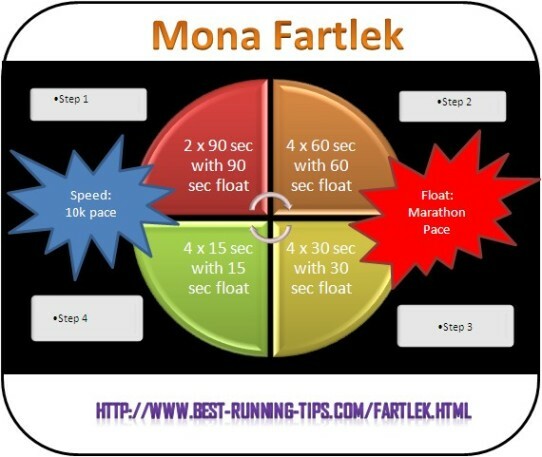 The goal of the fartlek workout is to run at different fairly high speed paces. The playful nature of fartlek workouts makes it fun and makes you connect with your body. And that makes fartlek workouts a good introduction to speed workouts for beginners: You can decide, based on how you feel, how much you'll push yourself. 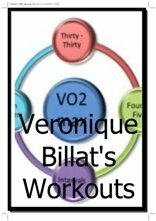 If you start doing structured speed workouts from a running program you picked up somewhere and you are actually not really ready for it, you run the chance of getting yourself injured. With fartleks the risk is smaller. So, next time you go for a run, leave your watch at home, enjoy the scenery and go by feel. I am sure you'll enjoy it! By the way, that doesn't mean a fartlek workout isn't a great running workout for more advanced runners. 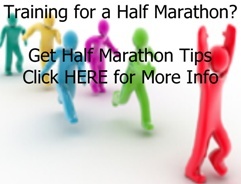 It's great for anyone wanting to become a faster runner!